Are you a coaster enthusiast? Do you dream of doing loops and cruising around hairpin turns? Then this week's cake is for you! 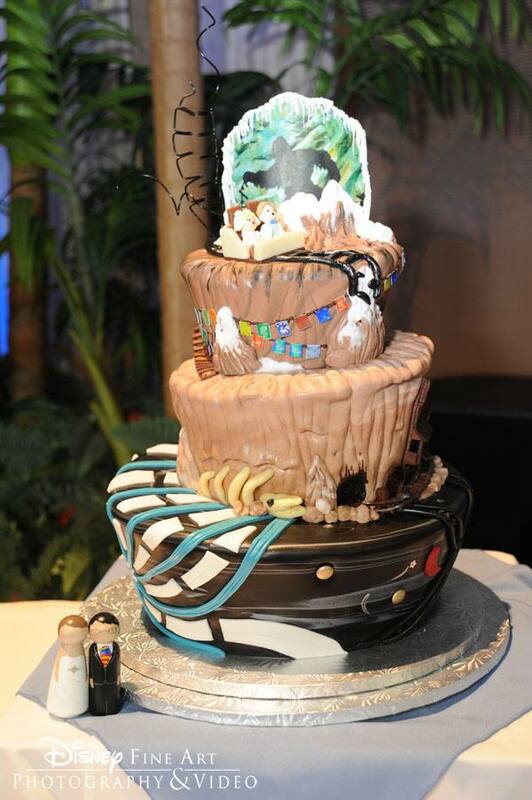 Comprised of three Disney coasters- Expedition Everest, Big Thunder Mountain Railroad and Space Mountain- this couple's cake combined their favorite attractions to create a reception masterpiece.